... and naturally, he has a new name. 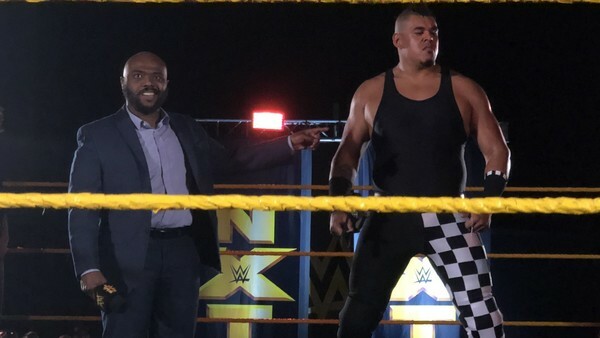 Former EVOLVE and Ring Of Honor pitch-man Stokely Hathaway made his NXT debut last night, chaperoning his latest charge Babatunde to the ring. Like pretty much everybody who passes through the Performance Center, he emerged bearing a brand-new sobriquet: Court Moore. According to those in attendance at the NXT live event in Tampa, FL, Hath..., sorry, Moore, told the crowd that the 6'10" behemoth Babatunde is his "newest monster". Yikes! Moore signed for the performance center alongside Robbie E and Cal Bloom on 12 March. 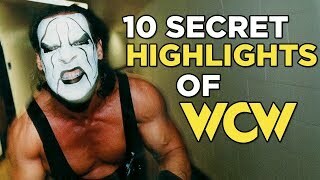 Although he has occasionally taken to the ring, his body of work has mostly been as a manager, having previously vouched for Moose in ROH under the name Ramon, as well as TJP in EVOLVE. WWE's decision to immediately stick a mic in his hand as Babatunde's advocate is something of a swerve by a company which has gradually diminished the role of the wrestling manager in recent years. It's a development we're delighted to see.